Patricia basks in the spotlight of her imagination with her joyful game of dress-up. She takes on different roles from a beautiful princess to a wicked witch to "Little Mommy"... but who is that last character? 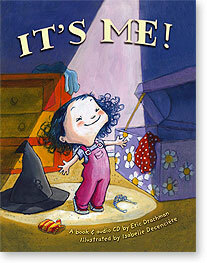 With her insistence that "It’s me!" her family finally realizes that It’s their very own Patricia! Children will delight in the distinction between play and reality with Patricia and her happy family.